Most people do not eat enough green veggies. So no matter what your diet currently consists of – whether you are an omnivore, vegetarian, vegan, flexitarian (a little bit of this and a little bit of that), raw foodie – it doesn’t matter. Getting your greens in is the first step to optimal and long-lasting health. 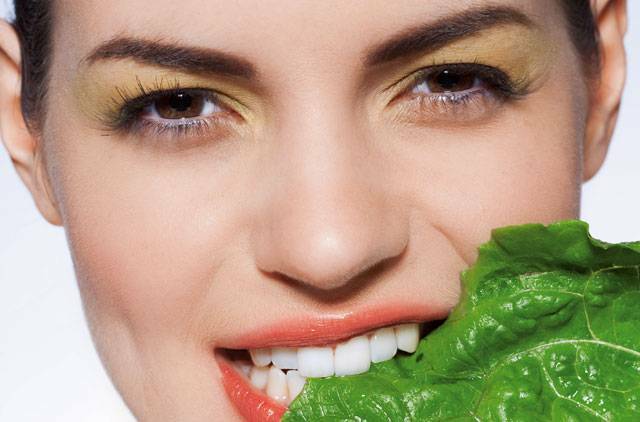 – Leafy green vegetables are one of nature’s richest sources of a full spectrum of nutrients. 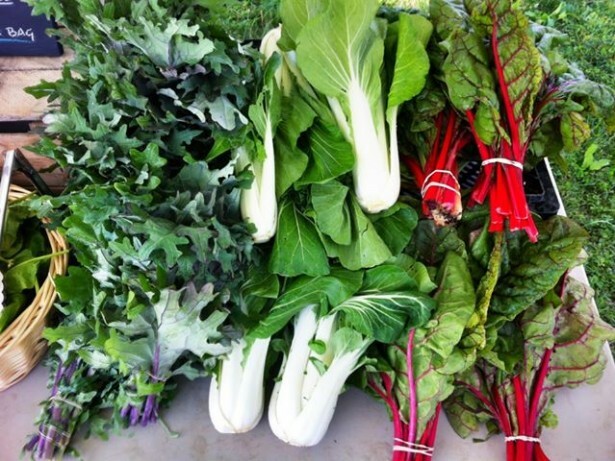 So look beyond Spinach and Broccoli and get familiar with things like Kale, Collards, Swiss Chard, Arugula and Bok Choy. Depending on what your taste buds are calling for, there are so many ways to get your green veggies in. The good news is that each green offers a very different unique taste and texture. Even if you have to sneak them into a smoothie, I promise you – there is always a way! Take your nutrition to the next level and make greens an essential component to your day. Why? Gives your body an extra dose of much needed calcium, magnesium, iron, antioxidants and fiber. Compliments anything and everything on your plate and will boost the nutrients in any meal. Is especially fantastic when it is just lightly steamed, sautéed or chopped up and marinated raw into a salad. Makes a super healthy “chip” when they are dried out that is kid and adult friendly. These benefits apply to most greens so really, you can’t go wrong and the possibilities are endless. Simply said, Marni Wasserman’s life is rooted in healthy eating. Certified Chef, Culinary Nutritionist, and founder of Marni Wasserman’s Food Studio & Lifestyle Shop located in midtown Toronto where she teaches her signature cooking classes, and offers collaborative workshops and urban retreats. She is also the Author of Fermenting for Dummies and Plant Based For Dummies. Marni uses passion and experience to educate individuals on how to adopt a realistic plant-based diet that is both simple and delicious. She is dedicated to providing individuals with balanced lifestyle choices through organic, fresh, whole, and natural plant-based foods.